The Norwegian area of Old World Wisconsin contains two Norwegian farmhouses: the Kvaale farm restored to 1865 and the Fossebrekke farm restored to 1845. There is also a one-room schoolhouse, Raspberry School built in 1896 and various outbuildings. 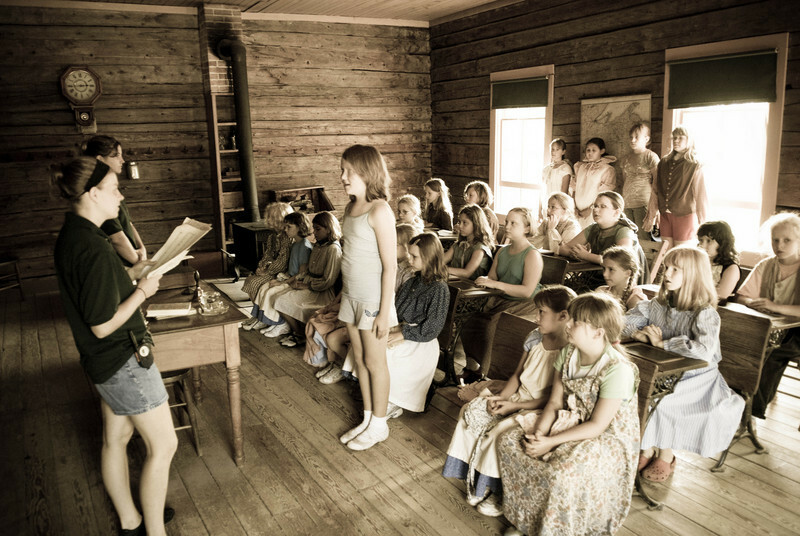 A contestant in a spelling bee for Laura Ingalls Wilder summer campers tries to think of how to spell a word while her fellow campers look on. The spelling bee was held in the 1906 one room Raspberry school.